These presentation slides 45989 are complete compatible with Google Slides. Simple download PPTX and open the template in Google Slides. 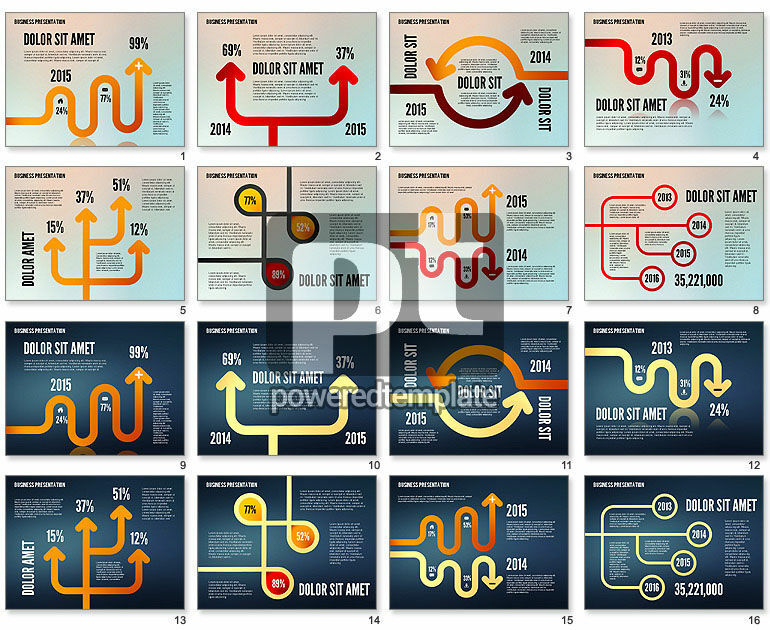 Enjoy this marvelous template, created in a flat style with multiple colorful arrows, curved in different ways. This multipurpose and stylish sample may suit presentations dedicated to various sequences, connections, intersections, relations, business plans, timelines, schedules, reporting results, time management and other issues in different spheres of business, media and so on.